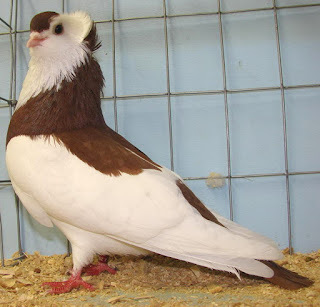 The Felegyhaza Tumbler pigeon is a breed of domestic fancy pigeon. It was originated from Hungary over many years of selective breeding. The Felegyhaza Tumblers and other varieties of the dometicated pigeons, all are descendants form the wild or feral rock pigeon.